vanished. I fully expected to have a bright, articulate, academically successful child. I got one too, but not quite in the way I expected. My pregnancy was uneventful. I had no unusual symptoms, the amniocentesis and the sonograms appeared normal, and I continued to work conscientiously as ever at my university administrative job. It was late at night when the contractions began, so I couldn’t sleep. But that didn’t stop me: I had a project to finish. I rose early, breathed through the contractions and paced until the project came off the printer. Then I gave in. My labor was long and slow. After more than 40 hours without much progress, the doctor recommended Pitocin, which did the trick, an epidural and then an episiotomy. Anna arrived right on time. She was a small, beautiful baby, weighing 6.5 pounds and measuring 19 inches in length, with a full head of shiny brown hair, big brown eyes that eagerly consumed the world, and, because of slightly blue feet, an Apgar score of seven. Many new mothers are ready to go home at that point, but I was not, and I gratefully agreed when my doctor suggested an extra day in the hospital. It was a good thing I did. Shortly before we were to leave, our pediatrician walked in. She looked worried. “Where’s your husband?,” she asked. Alan was in the cafeteria, but that didn’t stop her – she had something to say. “The baby’s oxygen level isn’t good,” she began. I sat down on the bed. “It could be an infection or it could be cardiac,” and then, gazing sadly at me, she continued, “I think it’s probably cardiac, so we’re going to transport her to Children’s Hospital.” My stomach churned. What could this mean? Alta Bates was a good hospital, but Anna needed more specialized care than it could provide. She was whisked into an incubator, loaded into an ambulance, and slowly driven away. No sirens, no horns. Just an unearthly silence. We trailed behind in our own car and we wondered. We had to find out what was going on, so the cardiologist performed a catheterization almost as soon as we arrived. He inserted a catheter into a blood vessel in Anna’s groin, guided it into her heart and its arteries, and injected an opaque dye. In this way, he was able to visualize the insides of her heart and arteries and get a clear idea of their structure. We had a conference when he finished. I remember the cardiologist, the social worker, and the nurses, the pillow offered for my sore bottom, and the conference table around which we all sat. No, this was not related to my father’s recent heart attack. Yes, this was a congenital heart defect. No, I hadn’t done anything wrong. I wasn’t too old; it wasn’t something I ate or drank; it wasn’t my fault. How could it be? Anna was born with two major heart defects, tetralogy of Fallot and pulmonary atresia. Tetralogy of Fallot is a standard, though complicated heart defect, which, in Anna’s case, included a ventricular septal defect (a large hole between the ventricles), transposition of the major arteries, left pulmonary stenosis (narrowing of the pulmonary artery), and ventricular enlargement. The ventricular septal defect and the transposition of the major arteries meant that oxygen-rich blood went to the lungs without going to the body and that oxygen-poor blood went back to the body without passing through the lungs. The pulmonary stenosis drastically restricted access to her left lung, and the right ventricle had become enlarged because of the extra work required by this anomalous structure. Anna also had another defect, pulmonary atresia, which meant she was missing a large part of the pulmonary artery. She looked fine at birth, except for slightly blue feet, because her body was still using the fetal circulatory system, sending blood through a valve called the patent ductus arteriosus. But the ductus generally closes down within 72 hours after birth. When Anna’s ductus began to close down and her circulatory system failed to kick in, her oxygen level fell, and she started turning blue. Anna needed major heart surgery; she would not survive without it. As the doctors explained all this, we wondered what would have happened if the delivery had been straightforward and we’d been sent home right away. We were first-time parents with no idea of what a healthy baby looked like. We wondered whether we would have realized that something was drastically wrong and whether we would have gotten our new baby back to the hospital in time. We wondered whether she would have died. We sat around the conference table. The cardiologist talked and we listened. He was relaxed. He was optimistic. He knew she could be fixed, and we believed him. Less than 24 hours later, we were in the parents’ waiting room sitting through our first big surgery. We sat numbly. Not understanding. We barely knew we were parents. It felt strange to say the words “our daughter.” We knew only that somehow we were tied to this tiny broken being and that this tiny broken being had to be fixed. The surgery went well, and Anna’s father, Alan, began his email saga shortly thereafter. Alan’s an academic. Like many modern-day academics, he lives on email. Our friends and relatives needed to know what was going on and we certainly couldn’t return all their calls. In fact, I didn’t want to return any of them. But, for Alan, communication is key. He also wanted his colleagues to understand why he wasn’t getting as much work done as he usually did. So, most days after he got home from visiting Anna, he would type out long detailed email notes, which he would send to anybody who wanted information. People clamored to be on his list and each report was eagerly and fearfully anticipated. On January 13, he sent out this note. The main piece of news is Anna. She had surgery today, and everything went very smoothly. For those who know the details, she had a “modified Blalock-Taussig shunt” – surgery that makes a connection between the heart and the pulmonary artery, allowing her blood to be oxygenated. If all goes well in recovery, this “patch” should last about four years or so. It allows her blood system “plumbing” to work, though not at full efficiency. She can grow with it, until she’s about four or so – at which point her heart will have grown to the point where they can do a second operation, and permanent repair – making the plumbing the way it should be. Laura [a family friend with a Ph.D. in medical sociology] is familiar with the procedures, and is reassuring. She says that it’s one of the best worked out neonatal cardiac procedures, that it’s got a good track record, and that after the 2nd operation kids are pretty much normal. (After the 1st they tire easily, but there are no serious problems.) So, we’re fairly optimistic… but taking life one day at a time. Thanks to friends like Laura giving us information and support, Noreen showing up at the hospital, and others showing up with dinners, we’re doing pretty well…. But Alan was putting the best possible face on things, presenting a cheery front to the world. I remember when we first walked into the ICU. There she was, that tiny little thing, spread-eagled on a small, padded table with tubes attached to almost every part of her body. She was intubated because she couldn’t breathe on her own, and she had at least four IVs, a couple of drains, wires protruding from her chest in case a pacemaker had to be installed, numerous leads attached to monitors and a bright red light taped to her finger. She was naked, though covered with a light blanket, and half of her abundant brown hair had been shaved for an IV. She lay there under the bright lights of the ICU, temporarily paralyzed to protect all her welcome our interest. Some of them even thought Alan was a doctor. levels) were good. Then came the pacemaker wires; her heart rhythms were good so she wouldn’t need a pacemaker. Then the drains and various IVs. But no recovery is straightforward. On January 18, Anna had a setback. Alan’s email tells it best. Like the rest of us, Anna has her ups and downs. We’re now back on the up phase after a downer. As of my last message, she was progressing rapidly; we hoped to have her de-tubed in the near future. Unfortunately, she caught a rather severe infection – pus in the incision, probably a staph bug floating around the hospital – and that meant lots of antibiotics, a worsened oxygenation rate, and other complications. Friday and Saturday weren’t much fun. But the antibiotics seem to be doing their job, and she looks much better today. Once again, she seems on the mend. paraphernalia, in unnatural silence. That was when she got her name. The nurses insisted upon it; they didn’t want to take care of Baby Girl Schoenfeld when they could be taking care of someone with a real name, a baby girl named Anna. “How do you want us to pronounce it?,” they asked. I thought for a moment. When we named her Anna, we pronounced it the old way, the Russian way: Ahna. But we hadn’t dared hope that the unusual pronunciation would stick to the California tongue. These nurses made it stick. And Anna, with her strong sense of self, has made it stick forever. the charts and records as intensively as he did. As the nurses got to know us and we learned the language, they began to welcome our interest. Some of them even thought Alan was a doctor. We began to feel that things were more or less under control. We thought there’d be no more surprises since we had the best doctors and we understood what was going on. As Anna recovered and the shunt began to do its job, tubes were DC’d (discontinued). We celebrated each time a tube was removed, and Alan chronicled Anna’s path toward normalcy. First, the ventilator came out; she was breathing on her own with a little extra oxygen on the side. And her “sats” (oxygen blood saturation levels) were good. Then came the pacemaker wires; her heart rhythms were good so she wouldn’t need a pacemaker. Then the drains and various IVs. But no recovery is straightforward. On January 18, Anna had a setback. Alan’s email tells it best. Like the rest of us, Anna has her ups and downs. We’re now back on the up phase after a downer. As of my last message, she was progressing rapidly; we hoped to have her de-tubed in the near future. Unfortunately, she caught a rather severe infection – pus in the incision, probably a staph bug floating around the hospital – and that meant lots of antibiotics, a worsened oxygenation rate, and other complications. Friday and Saturday weren’t much fun. But the antibiotics seem to be doing their job, and she looks much better today. Once again, she seems on the mend. 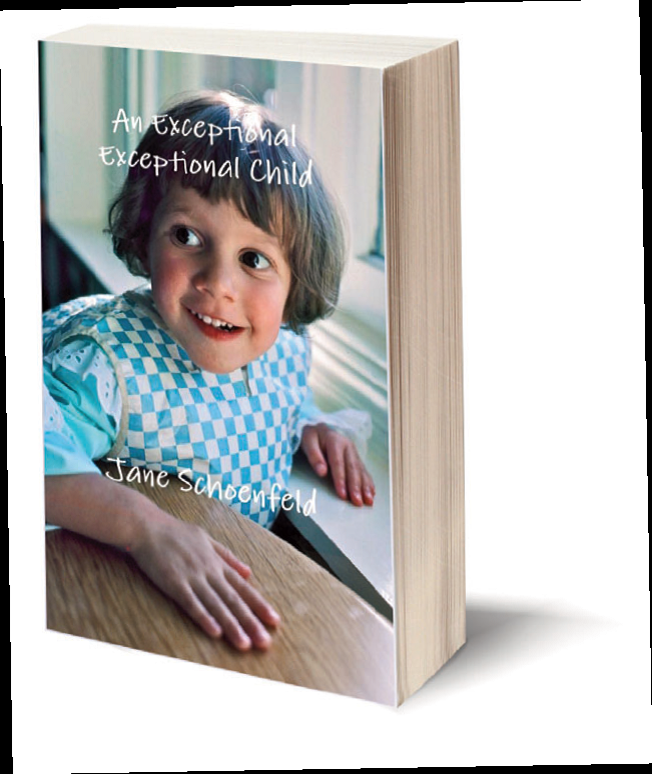 Note: A title search doesn’t work; please search for Jane Schoenfeld.